Milton Antibacterial Surface Wipes | White | Not Formulated for use on skin. Save AED 9 (50%) – Earn 1 Shukran What is Shukran? Shukran is the Landmark Group’s award-winning loyalty programme in the Middle East, which allows you to earn Shukrans when you shop any of our brands. 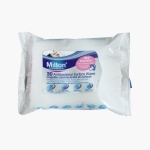 Specially designed to clean and protect your baby from germs, these wipes are a great pick. 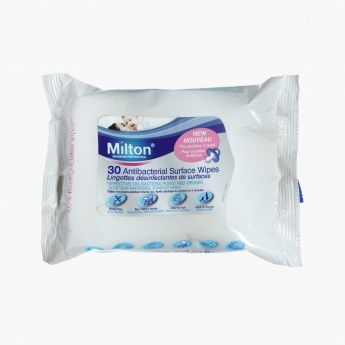 These wipes are great for quick clean ups around the house, can be used to clean your kids toys, and changing mats when you are on the go. Feature 1 : Not Formulated for use on skin. Feature 2 : Bleach Free, Re-sealable Pack.